People assume that I am younger than I really am when looking at my face. I believe it is down to my healthy diet and the fact that I have exercised my face for the last 10 years. As one gets older, you discover that your face requires something more than beauty treatments and creams to retain a youthful appearance. Many people opt for Botox or surgery. I prefer a more natural approach like Facial Fitness. I have been in love with Facial Fitness since 2007. You may not believe it, but as I finished my very first class I came home and called my husband and said: “I found what I want to do …. I want to learn Facial Fitness and teach it to everyone! It is fascinating!”. What I loved was the whole concept of exercising the face and also the complexity that it involved. I did find it challenging at first, but like anything you need to find the motivation and just be persistent. Once you put your mind to something it becomes so easy! As I became a Practitioner, I found a real challenge to teach clients to be precise in the movements and to use the right muscles. It took me a while, but I learnt the importance of using your fingers as a channel to connect neurologically with each muscle. 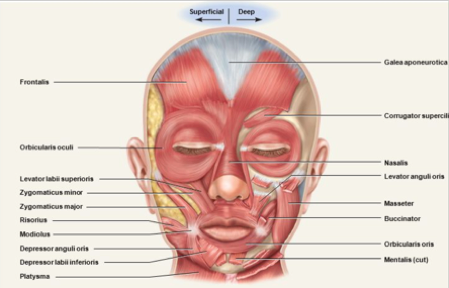 It is the bridge that will make you really move the different parts of the face and isolate the different muscles. It is essential when you first come to my studio to exercise your facial muscles to feel with your touch what you are intending to move. After the second class, it is fascinating to see the progress a client’s muscles have made and how their faces can start moving beyond what they thought they could do. Only my husband would know that there is a song called The Hair of My Chinny Chin Chin by Sam Sham and the Pharaohs. I must say it’s not a very appealing thought. Generally, our chins don’t respond well to ageing. The chin tends to be difficult to exercise as we don’t use the underlying muscles regularly, so they tend to sag and lose tone. We need to target the muscles below the chin as primary mover muscles, with the benefit being that those exercises will help the muscles from the chin all the way down to the neck. Below I’ve shared a quick and useful tip I’ve found for getting started with a Facial Fitness routine. Lower the corners of your mouth down towards the collarbone in slow motion like you were making a ‘sad face’. The move should be slow and steady, then hold for a few seconds and come back slowly. If you find it difficult to connect with the muscles, use the fingers to direct the movement in the beginning.